Previously developed land. Brownfield sites once developed but ‘left to nature’ can support a surprising amount of biodiversity on the disturbed poor soils and aggregates found there. Barnsley’s historic legacy of industrial sites, mine spoil heaps, quarries, and railway tracks has left a landscape pepper-potted by such places. Plants that can grow and survive there, colonise previously developed and disturbed land and can form a patchwork of plant communities and bare ground. 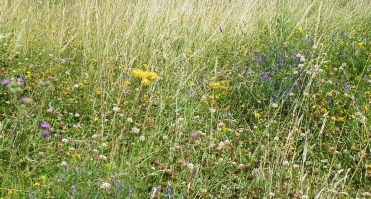 This is referred to as ‘open mosaic’ - a priority habitat. Spectacular assemblages of native and other plants occur on some sites due to the soils being disturbed and ‘alien’ materials introduced. 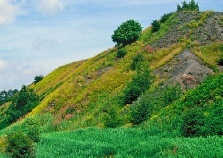 Quite specialised habitats may be found where industrial spoil or limestone ballast affects the soils: the types of vegetation found may be very different to those found elsewhere in Barnsley. 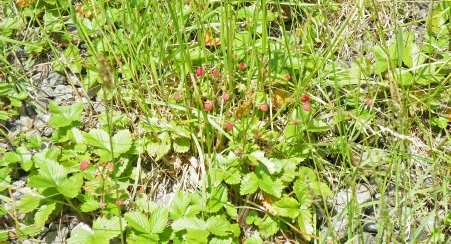 Indeed plants that normally grow in coastal areas have been found locally in such places. These unusual sites in turn support special assemblages of invertebrates and amphibians, reptiles, mammals and birds may also be present. Open Mosaic Habitat is found on some previously developed land where there are modified soils and one or more early successional communities have become established in a mosaic with bare substrate. Previously developed land often has thin soils, deficient in nutrients; sometimes alien soils and other materials such as mine spoil, rubble and railway ballast have been introduced. Colonising vegetation is often sparse and rapid succession to scrub and woodland is slow. Plant communities tolerant of poor and disturbed soil become established in a patchwork with bare soil or other substrate. These early successional plant communities may include mosses, liver-worts and lichens; annual flowering plants and ruderal plants -ruderal literally means ‘can grow on rubble’! Grassy and flower rich areas and heath vegetation may then develop. Different substrates of soils and aggregates across a site enable a range of plant communities to exist. The open mosaic of sparsely vegetated habitats can provide key resources to support a diversity of invertebrates including butterflies, bumble and solitary bees, wasps and beetles. They depend on the profusion of larval food plants and nectar-rich flowering plants, with places to bask, burrow, feed, shelter, breed, pupate and overwinter. Amphibians, reptiles, mammals and birds may also use these sites, attracted by the supply of invertebrates and seeds, and the range of features for foraging and shelter. Some require damp areas and some dry sunny areas. A number of previously developed sites have been reclaimed, restored and in some cases developed upon. They lose their special character of being rich in pioneer plant communities and invertebrates. They may have been converted into other more uniform habitats - grasslands, heathlands, wetlands or woodlands, - of interest in a different way. A number of previously developed sites are being assessed for their biodiversity value. Only one Local Wildlife site has been designated for its open habitat matrix on previously developed land - Wogden Foot, former railway sidings with heaps of limestone ballast. Other LWS are previously developed sites but have been ‘reclaimed as other habitats. Previously developed sites with high biodiversity continue to be at risk of being lost due to government policies to encourage redevelopment of brown field sites in preference to green field sites and lack of awareness of their value. They are also at risk from landfill or reclamation of mineral spoil. Too much tidying up of a site can damage its ecological interest as can inappropriate ‘restoration’ to other habitat types. Natural succession will also cause loss and damage to the habitat and species supported by the open mosaic habitat. Although an absence of management is often a key factor in the high biodiversity in brownfield sites, management will at some point be necessary to maintain the early successional habitats required. Without management sites will in time be overgrown by dense scrub and secondary woodland. The aim should be to maintain open, sheltered and sunny areas, with a mosaic of herb-rich early succession habitat and bare ground. 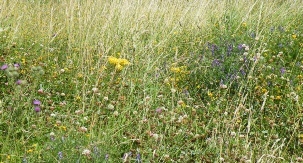 Encouraging early successional vegetation, larval food plants and nectar-rich wildflower-rich areas. Managing grassy areas to retain a varied structure with stands of taller plants where invertebrates can overwinter and birds can feed. Buglife has specific advice on managing brownfields for butterflies, ground beetles, flies and bumblebees. Open Mosaic Habitat on Previously Developed Land (OMH) does not necessarily have legal protection . An OMH site may be designated as a Site of Special Scientific Interest, Local Nature Reserve, Local Wildlife Site or another local or national designation. It is also important to note that an OMH site may also be indirectly protected where it provides a habitat for a legally protected species under the Wildlife and Countryside Act 1981 (the Act), or the Conservation of Habitats and Species Regulations 2010 (the Habitats Regulations). This includes an Open Habitat Mosaic Handbook, Assessment form and other information. This includes separate advice on management for butterflies, ground beetles, flies and bumblebees. An OMH survey website is available. Landowners and managers of previously developed land: be aware of the potential value of previously developed land for biodiversity in considering management, change of use, or development. Conservation bodies: give advice and support in identification and management of previously developed land. Buglife, Opal are particularly active. Natural England: gives advice on open matrix habitat on previously developed land management. Barnsley Council and Peak District NP as planning authorities: ensure that planning applications consider the biodiversity value of previously developed land and that the necessary ecology reports are provided. set conditions in relevant planning applications to ensure that the value of open mosaic habitat on previously developed land for biodiversity is maintained and enhanced. Voluntary groups and volunteers: help with previously developed land management; help with information to identify open mosaic habitats and provide records of the wildlife in them. Raise awareness of the importance of previously developed sites as habitats for biodiversity and open matrix habitat in particular. Identify potential open matrix habitat sites on previously developed land and support their being surveyed and recorded. 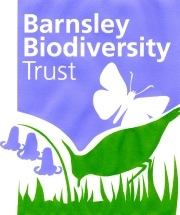 Collect and analyse records of populations and assemblages of wildlife species in previously developed land in Barnsley with an emphasis on plants, invertebrates and reptiles. Promote positive conservation management practice of identified open matrix habitat sites on previously developed land and other specialised habitats in order to bring them into favourable condition. Seek the restoration of open mosaic habitats on previously developed land where they are in danger of being damaged or lost through succession or inappropriate management. Dearne Valley Landscape Partnership is working with Opal and the Stockholm Institute in a project to involve communities in exploring wildlife in their local brownfield sites particularly former pit stacks and investigating the influence of the previous industrial use of such sites on their current ecological value. A resource is being developed by Opal to help identify species on such sites and is being piloted in the Dearne Valley Landscape Partnership area. Identify previously developed land that potentially meet open mosaic criteria such as Elsecar colliery, Littleworth Park, Cudworth Common. on former colliery pit stack. at Wogden Foot Local Wildlife Site, former railway sidings. Open mosaic habitat on previously developed land is a priority because of the special species and communities it supports, particularly plants and invertebrates. There has been a decline in extent and loss of important local sites in Barnsley but there are still opportunities to protect and conserve this habitat. 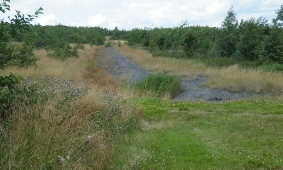 Phase 1 habitat surveys classify this type of habitat as: Quarry, Spoil, Mine, Ephemeral/short perennial, Bare Ground. Grassland or heathland may be present. There is no close match with NVC categories. at least 0.25 ha in size. soils disturbed, removed or severely modified by previous use(s) of the site. *Examples of early successional communities: mosses, lichens, annuals, ruderals, open or flower-rich grassland, heathland. Species supported by previously developed land. Sites may support rare plants or special plant communities including, mosses, liverworts, lichens and orchids. 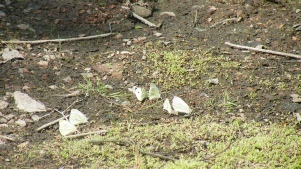 Large numbers of invertebrates, especially species such as bees, wasps, flies and beetles that are declining elsewhere. Amphibians: Great crested newt and other amphibians if ponds present or nearby and some damper areas on site.